Bigg Boss finalist and television superhot diva Hina Khan is currently in London on a relaxing vacation. The lady has been sharing her outings with her fans by posting pictures on photo-sharing app and people are gushing over her western look. 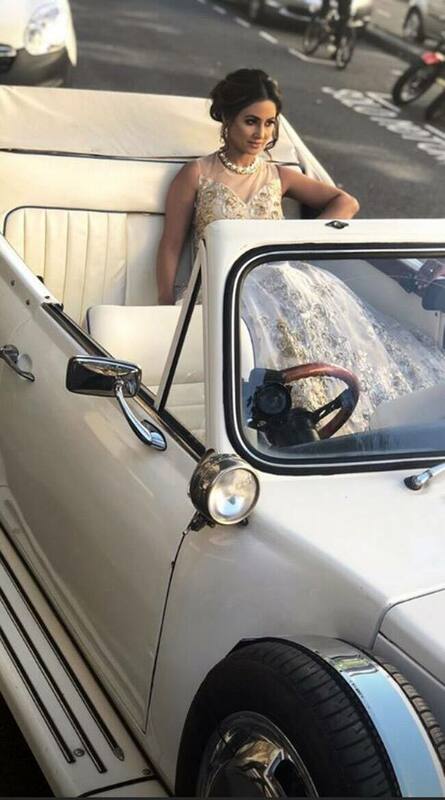 Earlier today, the actress took the Instagram to share the glimpse of her latest photoshoot in London and we must tell you that these pictures will take your breath away. Hina Khan is the true fashionista and knows what looks best on her. In this picture, she is donning a golden and royal red lehenga. She has accessorised her look with golden maang tikka and a big nose ring. The bridal avatar of Hina is mesmerising to look at. The 30-years-old actress is upping the glamorous quotient with each of her outfit and with 3.3 million followers on Instagram, she is one of the most popular social media users. 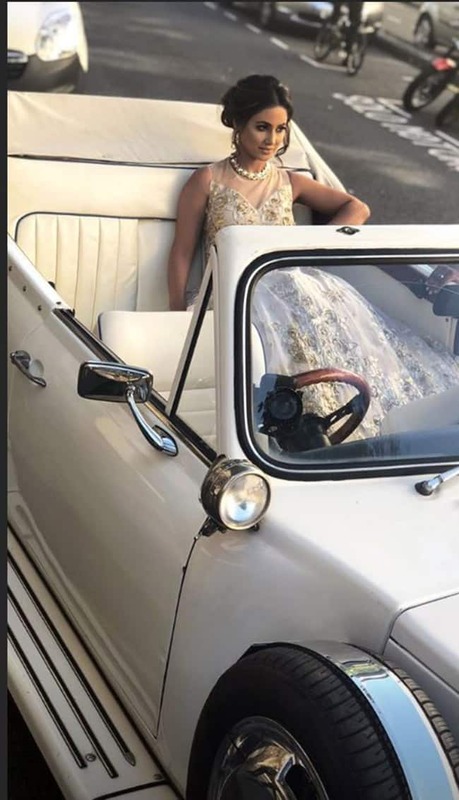 The lady is riding high on success after her music video Bhasoodi received a positive response on social media. Hina showcased some sizzling moves and can be seen totally different from her sanskaari bahu avatar. In the pictures, she is donning a western-Indo look and all her outfits are like a dream for any girl. The picturesque foreign location and the luxurious car gives an edge to her beauty. Hina is wearing a white sparkling net gown. She has accessorised her look with cut-glass jewellery. She complimented her look with a messy bun and kohled eyes. 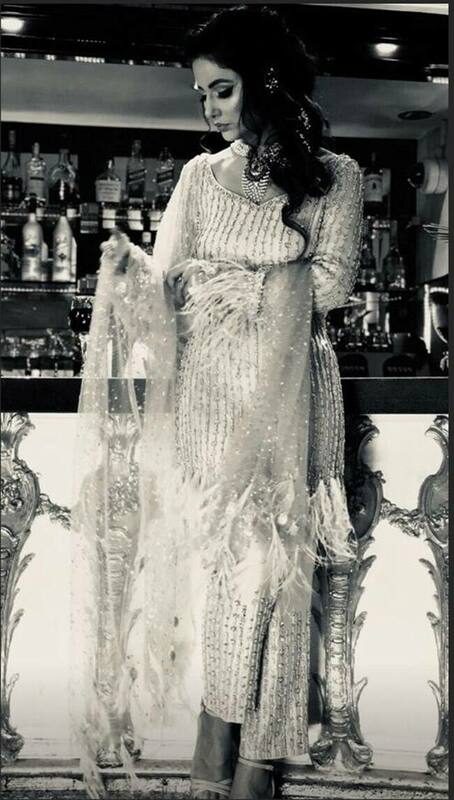 Hina Khan looks stunning in the monochrome picture. She is seen donning a white sparkling outfit and high heels. She has accessorised her looks with a big neckpiece and kohled eyes. In this picture, she is seen wearing a baby pink netted saree paired with the pearl jewellery and a bracelet. 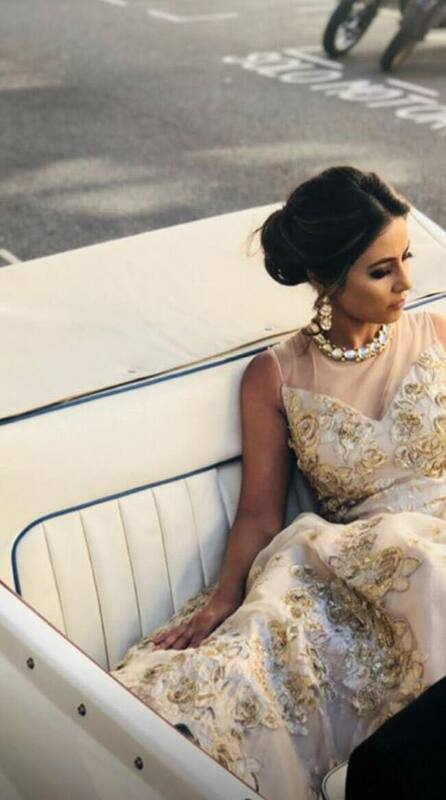 Hina Khan takes the breath away with this blue lehenga and the picturesque foreign location and the white vintage car gives the edge to her entire outfit. Earlier today, the actress took the Instagram to share the glimpse of her latest photoshoot in London and we must tell you that these pictures will take your breath away.